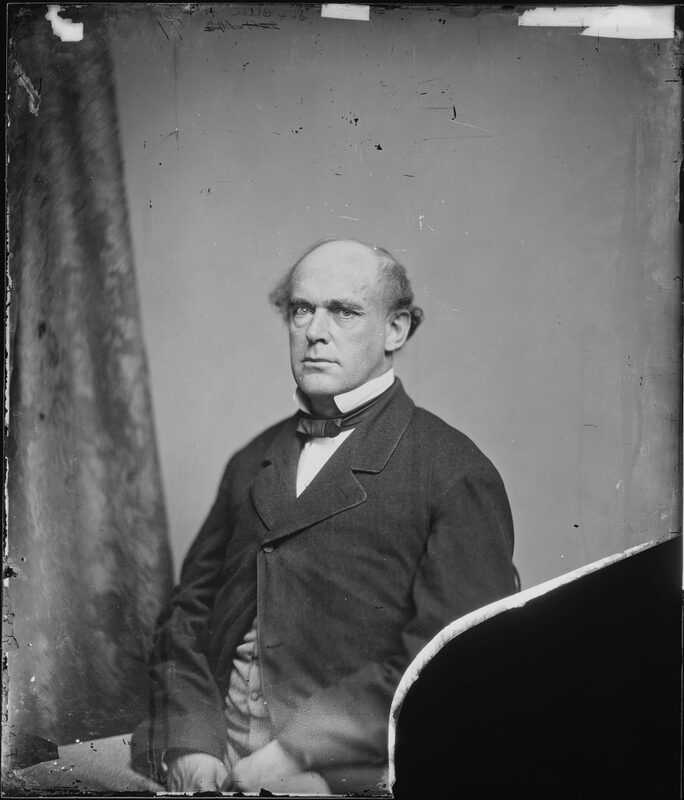 I worked for Salmon P. Chase when he ran for President of the United States in 1868. I was an assistant in his office. I filed papers and did errands, but I didn’t actually believe in his cause. I needed a job and answered his campaign’s ad in the Harking Times, a local Columbus, Ohio newspaper. They hired me because of my work history with the writer Edgar Allen Poe as his comma counter. Poe at the time was noted for his great use of commas and didn’t want to disappoint his readers. I spent hours everyday, counting and adding commas to Poe’s manuscripts if they ran below his 15,000 comma quota. Salmon P. Chase would come into the election headquarters every morning, yelling stinging chastisements at me and the other employees. With red face and bug-eyes, he wailed that we were inefficient hacks. But even though he regularly claimed we were failing him, he never fired any of us. It didn’t bother us because it was well known that Chase was a follower of the famous ascetic D. Micker Binning, who claimed that the vibrations from continuous shouts of disappointment would create in any listener the necessary gumption to complete difficult tasks. The yelling went on day after day. One day in mid-yell, Chase lost his voice in an apparent attack of laryngitis. He collapsed in frustration. I picked him up and sat him in a chair. I made him a cup of tea and sat by his side, holding his hand. Back then you could hold a man’s hand and no one thought the lesser of you.